To date, Global Ministries has received over $11,000 from UB churches and individual donors to support tsunami relief efforts in Japan. As we promised, this money has been forwarded to Samaritan’s Purse, an organization with which we partner for disaster relief. The evangelical Christian community in Japan represents less than 1 percent of the population, but undaunted, they are eager to help their countrymen. 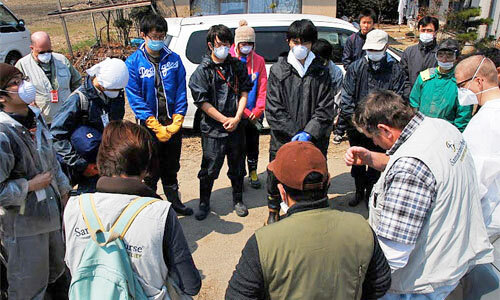 Samaritan’s Purse is working with churches in Japan providing tangible help with blankets, kitchen kits, and hygiene kits. In addition to buying supplies locally, Samaritan’s Purse airlifted 93 tons of emergency aid to Japan on a 747 jumbo jet just a week after the tsunami. Their team continues to work with local church partners to distribute essential items to tens of thousands of people in the hardest hit communities. Transportation remains a big challenge on the road to recovery. Nearly every car in the affected area was destroyed, and the country is facing a fuel shortage. In response to this need, Samaritan’s Purse has purchased hundreds of bicycles that they are giving to churches and evacuation centers, so people can borrow them when needed. To help displaced families return to their homes, Samaritan’s Purse is providing pastors with small, inexpensive pickup trucks, each one loaded with a generator, power washer, and clean-up tools. 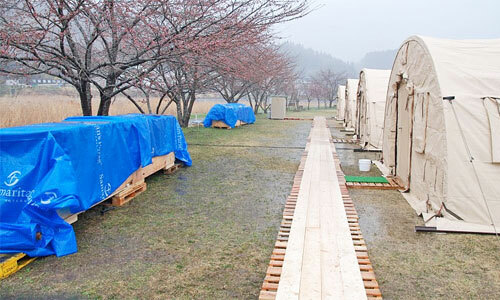 Their team is training Japanese Christians in how to do “mud-outs,” and are setting up tents to serve as bunkhouses for volunteers coming from churches elsewhere in Japan. 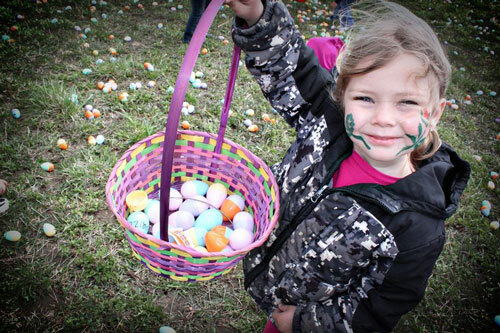 28 Apr 50,000 Easter Eggs! 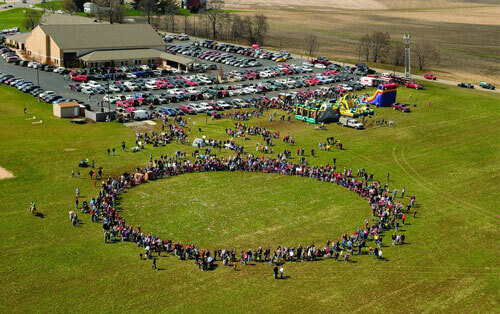 Over 5000 people converged on Colwood UB church (Caro, Mich.) on Saturday, April 23. 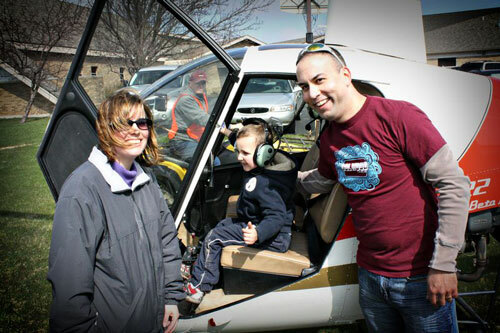 The big attraction was an Easter Egg drop–from a helicopter. 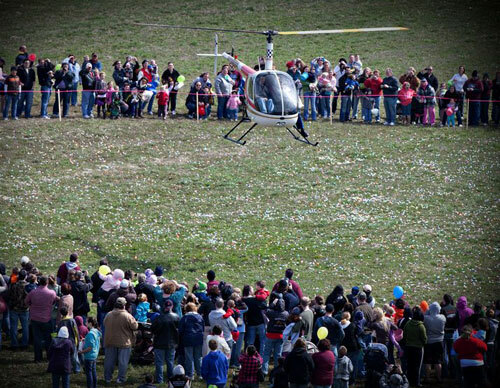 As the people formed a large circle on the church property, a helicopter dropped 50,000 plastic Easter eggs, each one filled with goodies. Last year, when they tried a helicopter drop for the first time, Pastor Jon Herron was praying that 1000 people would show up–a good goal for Caro, a town of 4500. But they were overwhelmed when 5000 people poured in. Local businesses and organizations donated goods and services, and they were graced with the presence of the Tuscola County Sherriff’s Mounted Division, Caro Fire Department, local EMTs, and Wal-Mart. The church provided 175 volunteers to make a day a big success. In addition to the eggs, they gave out 5000 bottles of water. The Easter services were a success too. Not only did 883 people attend, but 17 people dedicated their lives to Christ! Julie Houck, whose husband is pastor of the UB church in Coleta, Ill., will undergo brain surgery on Wednesday, May 4. The surgery will occur at St. Anthony’s hospital in Rockford, Ill. Please remember Wilmer and Julie Houck and family in your prayers. 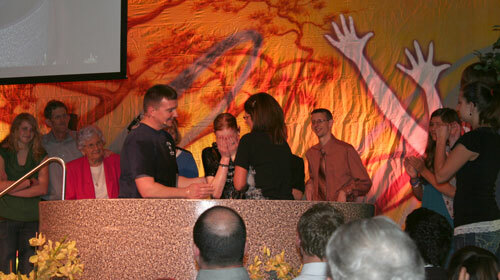 Kelly Burnside, senior pastor of Gaines UB, baptizing people on Easter Sunday. ...and washing windows at a local business. Here at Fowlerville UB church (Fowlerville, Mich.), we have been seeking tangible ways to reach our community, show the love of Christ, and open opportunities for spiritual conversations. 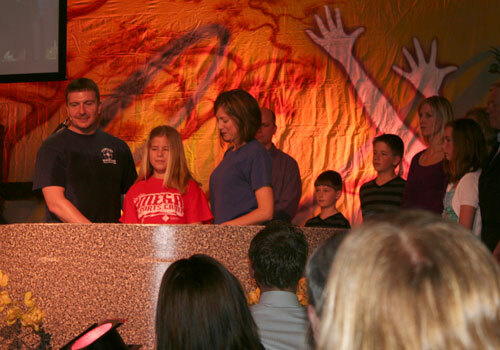 On Saturday, April 16, 252 people from our church went into the community to serve. A group of 10 people from two other local churches joined us for the day. It was a God-sized day! It had been raining all night long, and the weather report called for rain all day, but we believed that God wanted us to bless our community. After we held a brief time of worship and commissioning, the rain stopped and many of us left the parking lot as the sun peeked out through the clouds. The rains held off until we completed all of our outdoor projects. We completed over 30 projects in the community–yard work, washing all the windows in our local downtown area, cleaning our local parks, and serving many local businesses. It was evident to all that God had moved in a mighty way. Sunfield UB church has hired a new worship coordinator: Caleb Hugo from Dewitt, Mich. He and his wife, Liz, will begin serving in May 2011. Caleb is a graduate of Cornerstone University in Grand Rapids, Mich., and a recent graduate of Michigan State University with a Masters in Music Composition. Bill Fetrow, 58, died Thursday, April 21, 2011, at Visiting Nurse and Hospice Home in Fort Wayne, Ind., after being diagnosed in early March with cancer. He was a former United Brethren endorsed missionary, serving 1979-1996 with Wycliffe Bible Translators in Papua, New Guinea. Bill graduated from Huntington University in 1974 with a degree in music, and earned a master’s in music education from Ball State University in 1978. In 1992, he completed a Bachelor of Science in Elementary Education from Huntington University. 1998-2005 as executive director of the Huntington County Council on Aging. 2005-2008 as transportation coordinator for the Turnstone Center in Fort Wayne. 2008 to present as executive director for Love In The Name of Christ (Love Inc.) in Huntington, Ind. Bill was a member of College Park UB church in Huntington, where he was active in the adult choir, missions committee, soaching Upwards Sports, and teaching preschool Sunday school. He is survived by his wife Anne, to whom he had been married since 1973, and two children, Benji and Kristi. Visitation: 4-8 pm Monday, April 25, 2011. Visitation location: Myers Funeral Home Huntington Chapel, 2901 Guilford St., Huntington, Ind. 46750. Funeral: 11 am Tuesday, April 26, with vistation one hour beforehand. Funeral location: College Park United Brethren Church, 1945 College Ave., Huntington. Rev. Gary Dilley will officiate. Memorials can be made to Love In The Name of Christ, in care of Myers Funeral Home, 2901 Guilford St., Huntington, IN 46750. Steven Parish, 54, a former United Brethren pastor in Michigan, passed away unexpectedly on April 18, 2011. A memorial service was held April 21 at Nashville Baptist Church in Nashville, Mich. He is survived by his wife, Kimberly, and three daughters.